The NC Tenth Amendment Center is organizing a Nullify Now! Rally in Raleigh this fall. Nullify Now! is a national tour, sponsored by the Tenth Amendment Center and Foundation for a Free Society, to educate and activate Americans on the Jeffersonian principle of Nullification. Nullification, simply put, is the right of the state, under the Tenth Amendment and Supremacy Clause, to reject, nullify, and refuse to enforce unconstitutional federal acts – from all three branches!! The Raleigh event will be in September or October, depending upon the venue that is chosen. We want to start getting the word out now and ask that people share the information with as many people and groups as possible. There is perhaps nothing more important in the defense of liberty in our current precarious times than the education of ordinary Americans and state officials on the topic of Nullification. And given the hostility of our current leadership in the state legislature to states’ rights movements and the general reluctance in both houses to stand up to unconstitutional federal action, the time is now to begin that education. Nullify Now. For almost 200 years, the federal government has looked to its constitutional limitations with disdain. It dared to take the position that the Constitution is one of hidden and implied powers and that government needs what it needs. And it found a way around those limitations. First the Supreme Court delegated itself the exclusive power to declare what the Constitution means and what powers the government has. Yes, a branch of the government declared it would figure out what powers it has. And from that moment, the exercise of constitutional interpretation evolved into an opportunity for nine unelected individuals to use the bench to re-interpret our Constitution, to transform the intent of government, and to effect societal change (good and bad). Thomas Jefferson warned about this: “To consider the Judges of the Superior Court as the ultimate arbiters of constitutional questions would be a dangerous doctrine which would place us under the despotism of an oligarchy. They have with others, the same passion for party, for power, and for the privileges of their corps – and their power is the most dangerous as they are in office for life, and not responsible, as the other functionaries are, to the Elective control. The Constitution has elected no single tribunal. I know no safe depository of the ultimate powers of society but the people themselves.” The questions are these: Will federal politicians act to limit their own power? Will federal judges limit their power? The answer to both questions is no. If the federal government – all 3 branches – were ever to be the sole and exclusive arbiter of the extent of their own power, that power would always grow. And then we are in a position where the “abuses and usurpations” of government and of human liberties that were levied against King George of England and which justified the fight for our independence are being willingly tolerated here in the United States in the 21st century. Nothing can be more dangerous since the Constitution is the document that protects our precious rights laid out in the Declaration of Independence. Education on the doctrine of nullification is an education on how the States and the People can constitutionally exercise rights that the government now believes don’t exist. Critics contend that states have no power to review the constitutionality of federal laws and federal action. “That’s what the courts are for,” they say. Those very courts, after the Supreme Court’s pronouncement in Marbury v. Madison (1803) that the federal courts are to interpret the Constitution and judges are limited by its precise wording and intention, have gone way beyond simple constitutional interpretation to make policy from the bench. Those very courts, after the decision in Marbury, have reclassified the Constitution as a “living, breathing document” that is no longer confined to traditional interpretation. Those same courts have rendered decisions on secession and nullification when those topics aren’t even addressed in the Constitution (federal courts are limited to federal questions – alleged violations of the US Constitution, federal law, or a treaty to which the US is a party). Those same courts told Dred Scott that black people don’t have any rights under our Declaration or Constitution and approved the indefinite detention of an entire race of citizens in the 1940′s. No freedom-loving person should be looking at the courts to defend and preserve liberty. Since September 2010, the Tenth Amendment Center has been hosting a national tour to educate people on this topic and to re-engage them with their Constitution and principles of freedom. The goal is to teach about nullification, its constitutional basis, when it’s been used in history, why the criticisms (ie, “It’s unconstitutional because the Supreme Court has ruled on it” and “The Civil War settled it”) are misinformed, why nullification has become more popular, why Americans need to learn about this doctrine, and its potential. So far, Nullify Now! events have been held in Orlando, Philadelphia, Fort Worth, Los Angeles, Austin, Jacksonville, and Manchester, NH. Raleigh is the next conference. Our neighbors, South Carolina and Virginia, are both planning them in their states. Future events are also being organized in the Bay Area, CA, Seattle, Las Vegas, Miami, Indianapolis, Chicago, and in the states of Idaho, Wisconsin, and South Dakota. The opponents of nullification and the mainstream media want Americans to believe that Nullification is an evil doctrine because it was used to support slavery. They want to shame citizens into believing that to support this concept is to be un-American and to somehow endorse the mindset that gave rise to the Civil War. These false arguments are the very reason that the Tenth Amendment Center felt it was necessary to begin a campaign of proper education. The truth will allow everyone to come to an educated conclusion about nullification. 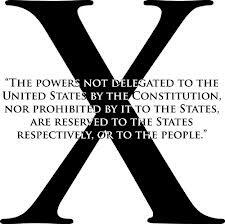 The Tenth Amendment knows that the topic of Nullification is one clouded in mystery. People want to know more but don’t know where to learn about it truthfully. They want to believe there is a constitutional way for their states to protect their individual rights. In North Carolina, people have heard disturbing comments from their elected state leaders in the past year, such as the following: “Because NC lost the Civil War, we have no right to second-guess the actions and policies of the federal government.” “The state constitution forbids us to second-guess the federal government. It’s essentially a surrender document that hasn’t been amended.” “The 10th Amendment no longer means what it used to. That was decided by the Civil War.” “The US Constitution doesn’t mean what it used to and we really don’t know what it means now.” ”Nullification is an outdated, racist doctrine that was used for bad and has no legitimacy.” “The legitimacy of Nullification was decided by the Supreme Court.” Can these statements possibly be correct? Education will give people of North Carolina the answer. We hope it will also educate those officials who articulated these offensive positions. Fortunately, the Tenth Amendment Center promotes the topic of Nullification from the mouth and pen of Thomas Jefferson and James Madison, our most important of Founding Fathers. Each wrote a critical founding document and therefore are the proper authorities on the subject. I’m sure liberty-minded folks support the notion that the federal government is one of limited powers and that the Supremacy Clause is a recognition of that limit and not an open invitation to the government to rule supremely on any and all objects it wants to. It can’t be that the federal government has the sole and exclusive authority to declare what the constitution means and how it applies to its branches and powers. The government can’t be sole and exclusive authority on the extent of its own powers. It’s a sure path to tyranny. I agree that the term “Nullification” scares many people and puts them on the offensive because of the crisis of 1832 with John Calhoun and South Carolina and because of the actions of Southern Democratic leaders in the post-Brown v. Board of Education era to repudiate the decision to integrate schools and society. I certainly get it and understand the negative connotations. But the positive exercises (not necessarily summoning the term “nullification”) have far out-weighed them, such as the actions of the Sons of Liberty which so thoroughly frustrated the British agents in the colonies prior to 1776 that such intolerable acts as the Stamp Act and Quartering Acts could never be enforced, the insistence in the Constitutional Convention in 1787 and in the individual state ratifying conventions for a state “negative” on the federal government (the Senate branch and the Tenth Amendment are examples), the nullification of the Fugitive Slave Act by the southern states, the nullification by a state court of Wisconsin (Glover case 1854) of the Fugitive Slave Act (in fact, the WI court said, despite what the US Supreme Court would later say in Dred Scott that Africans were not a class of persons covered by the Constitution or Declaration and hence were not entitled to any protections offered by those documents, including not having a right to bring suit, slaves and former slaves absolutely have a right to bring an action in a court of law), the state opposition to the federal Real ID which has effectively prevented its enforcement, the nullification of the NDAA by Virginia, and the rejection of state health insurance exchanges by 26 states as a way to show their opposition to federal intrusion into a state matter – healthcare, These are just a few instances of nullification (the pushing back of the federal government because it attempted to over-reach its constitutional authority. To minimize the freedom and expression of one group is to minimize freedom and express for all. Take, for example, the Daily Kos. It accuses conservatives of trying to prevent and thwart social progress in the United States. It writes that “their weapons of choice are nullification and secession.” It writes that conservatives resort to “these pernicious ideas in order to prevail on such issues as the rights of the unborn and gun rights.” To equate conservatives as enemies of the state is to silence the voice of our Founding Fathers on critical issues that touch on successful government and human liberty. To shut down those who speak for the unborn is to deny the unborn a voice. The Daily Kos is wrong. 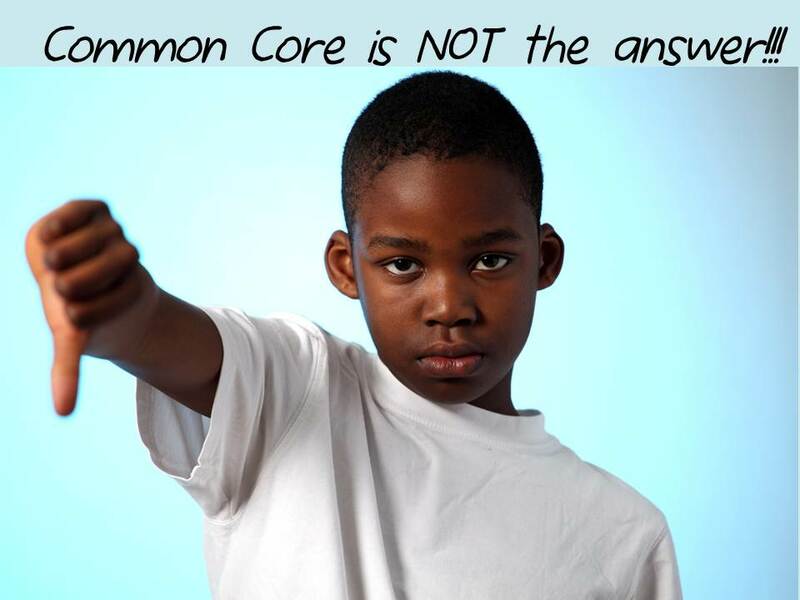 The weapon of choice for conservatives is education. Please plan to attend the Nullify Now! event in Raleigh this fall. Once the date and venue are set, it will be posted on the NC Tenth Amendment Center website and Facebook page. In the meantime, please help spread the word.